So anyway, I took a rest day. Well, my right foot didn't get any rest. So, the end of the run was the fastest, surprisingly (8:23 pace!). We ran a total of 10 miles (10.03 per Gus, the overachiever) in 1:27:34, with an average pace of 8:43. Woot! It was difficult but very rewarding! Thanks Mel! Oooo! How about naming the eagle "Sam" just like the Muppet character? Liz: Ran her longest run to date: 8 miles! Ron: Finished a small 10 mile race in Cali, and has rad hair. Amanda: She's going to start running again this week! Go leave her some comment love when you can. Goooo Amanda! Sarah: This crazy/awesome chick ran TWO half marathons this weekend. Congrats! AND a HUGE "WOO HOO!" to all of the Disney runners & Goofies!! Great job! It's always interesting to see the new years resolutioners out at the gym/running outside. Definitely makes the gym more crowded for January, but it's nice to see more people getting their exercise on. Just wish they'd stick with it. 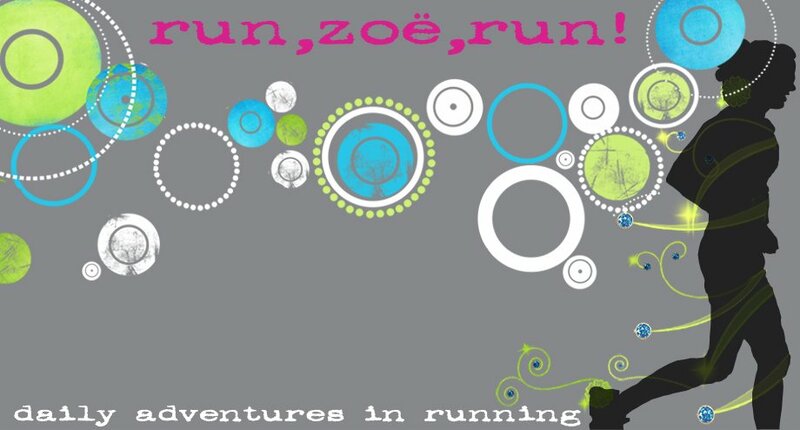 Nice 10 Miler Zoe. Better luck next time getting poo'd on. I believe that would make an interesting story. Any old bird is whatever, but the "National Bird"? Love the bird. They are so awesome! 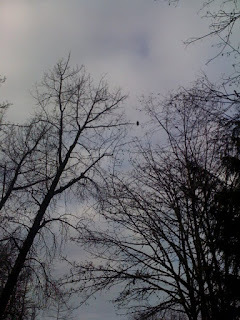 It's so funny, because I saw a bald eagle on my run on Saturday, too. 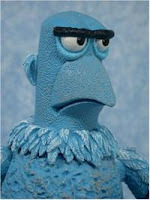 I love Sam the Eagle from the Muppets. That would be cute! Great job on the sub-9 pace. I have to say, it's a little intimidating! You'll have to run with me on a rest day. Hehehehe. Have a great day buddy.. I totally forgot about Sam on the Muppets. It sounds like a great run! That was quite the pace. Sorry about the headache/mush. I hope you feel better soon! Great 10 miler! You are so ready for a full marathon if you can push the pace like that! "However, from that height, I'm sure his poo could have given us a concussion." HAHAHA! Hilarious! Thank goodness you dodged that bullet! You and Mel just have running "sleepover talk" and I love it! Great pace on that 10 miles. You are killing it! thanks for the shoutout! :) too kind of you. nice job on the 10-miler! 8:43, excellent!